The RAM-B-102U 1" Ball 3.69" Arm 2x Diamond Base is designed with two adjustable 2.4" x 1.3" diamond base ball mounts with a hole pattern suitable for many RAM cradles. 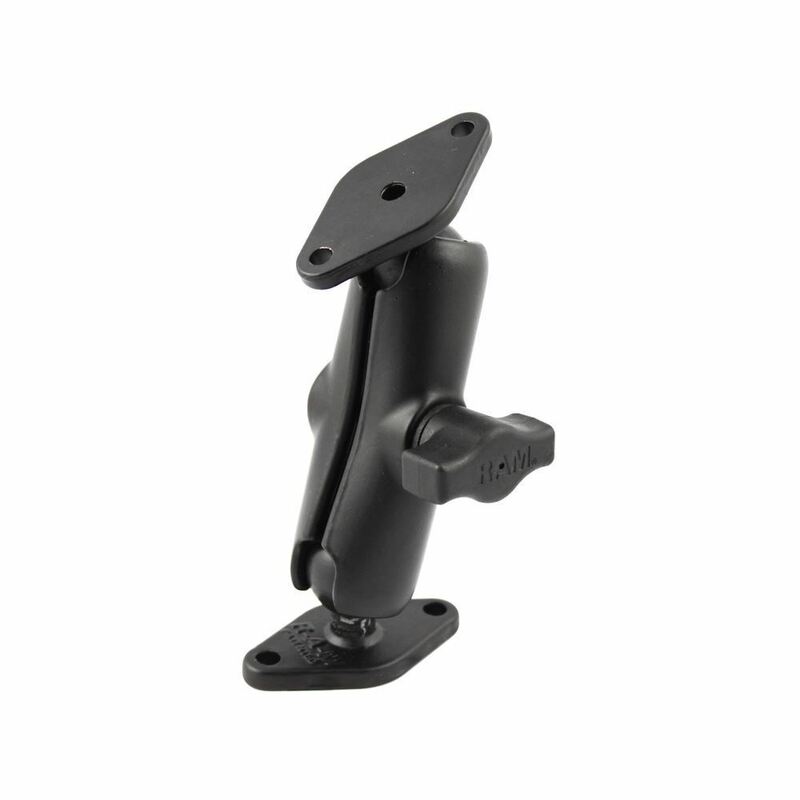 The RAM-B-102U RAM 1" Ball, 3.69" Arm, 2x Diamond Base from the RAM Mount Bases range comes with two diamond bases for stability, and a slight double socket arm. The bases measure 2.43" x 1.31", with two holes 1.912" apart at the center. You can join it with other RAM cradles including mounts with the standard AMPS hole size. Fixed onto this unit is a patented 1" rubberized ball and socket fixture that can be adjusted on either ends of the arm.